I’ve had an issue with this for a while, but I’ve never said anything about it until now. Because although it’s made me cranky, it wasn’t until I was faced with this particular outrage on my recent flight to Dublin that I finally snapped. 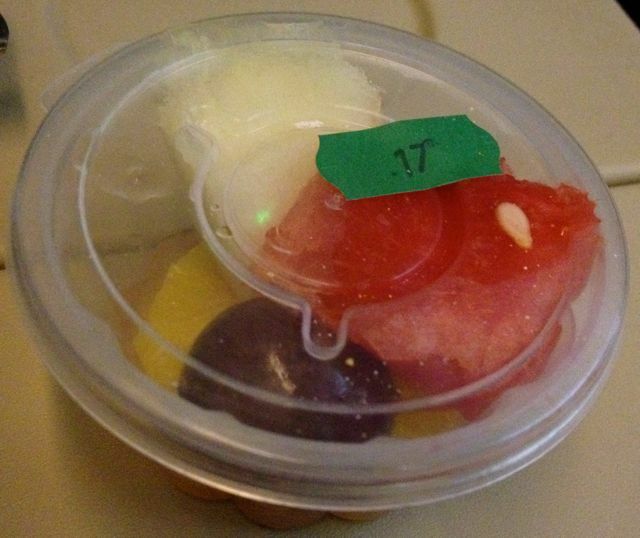 My issue is this: just because I order a vegetarian meal on a flight, that doesn’t mean I don’t eat dessert. Look, I’ll be honest – it doesn’t even really mean that I don’t eat meat, it’s more that I’m a bit fussy and figure it’s better to order a vego meal to be on the safe side. Well, that and I do like to feel a bit special. Uh huh. Not quite Banoffee Pie. I sobbed quietly to myself. Then 15 minutes later when my neighbour finally got his meal, I got a glimpse of what I had missed out on…I would have taken a photo of that, but I couldn’t focus through my tears. And he wolfed it down so quickly that I didn’t get a chance. Serves you right, I say! Thanks for starting my day off with a laugh! Sparks – I am a ‘special meal’ girl, too. (We have so much in common, HR Girl!) Anyhoo, I feel your pain. 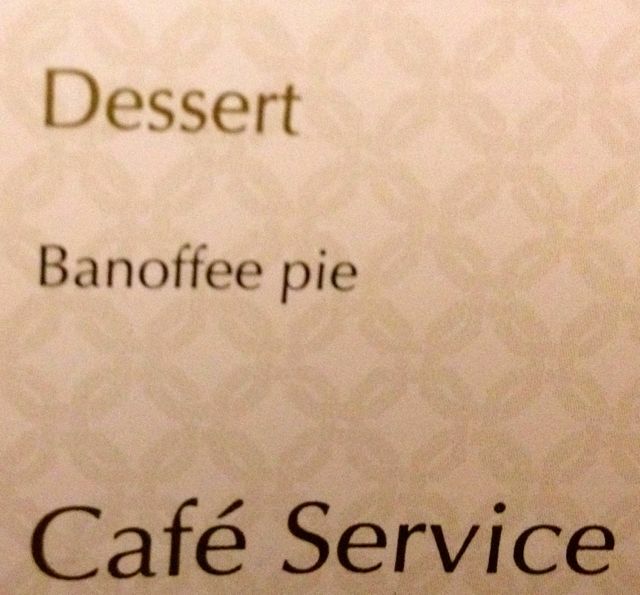 Did you ask the nice Etihad lady if there was a spare Banoffee Pie for you…? Banoffee pie has been known to explode at altitude so I think you may have had a lucky escape.